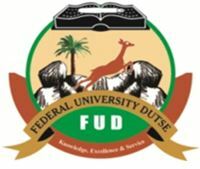 The Federal University Dutse (FUD) admission list for the 2018/2019 academic session has been released. Candidates that participated in the university post UTME screening exercise can now check their admission status online. Check Federal University Dutse Admission List. Go to FUD admission status checking portal at http://myportal.fud.edu.ng/. Locate and click on the ‘Check Admission’ button. Enter your JAMB number and click on check button to access your FUD admission status. Generate Invoice for Acceptance fee immediately – FUD Acceptance Fee Payment & Registration Details for 2018/2019 Academic Session. Accept or reject the admission offer on JAMB CAPS portal – How to Reject/Accept Your Admission on JAMB CAPS. Not offered admission yet? Keep checking the link above. NOTE: The collection of Admission letters and registration would commence on Monday, 8th October, 2018 (for 1st batch candidates) and Monday, 15th October, 2018 (for 2nd batch candidates). Successful candidates will be required to pay N5,000:00 (Five Thousand Naira) non-refundable admission acceptance fee before collection of admission letters. Congratulations to all the candidates that made it to Federal University Dutse (FUD) admission list..